I must say, it is very advantageous to know people who are familiar with the area when traveling. Lucky for me, on our trip we had 4 locals, one former local, and then us foreigners: me- the transplanted Canadian, an Italian and a Dutchman. The local peeps were wonderful hosts picking us up and chauffeuring us where the group needed. 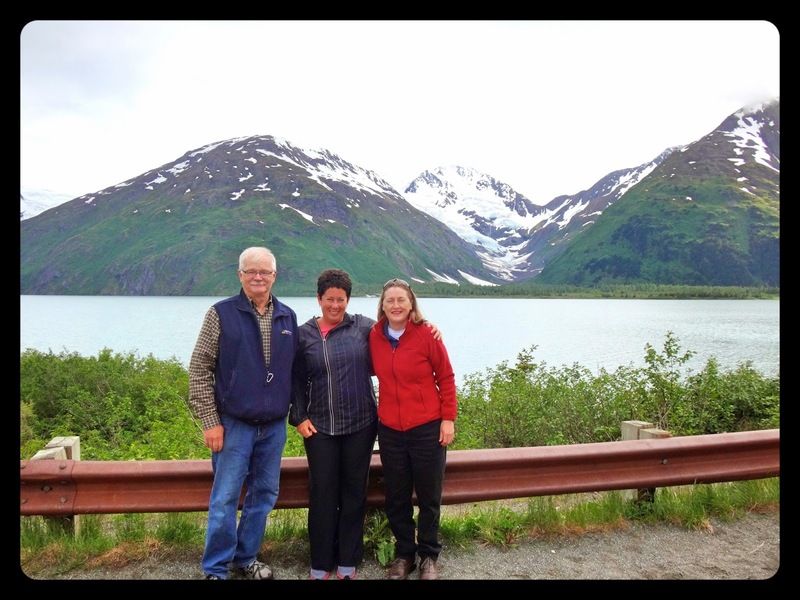 God Bless them, I mean really, the cost of renting a car in Alaska is outrageous not to mention the effeciency and invaluable benefit of being with someone who knows where they are going especially on this type of trip. 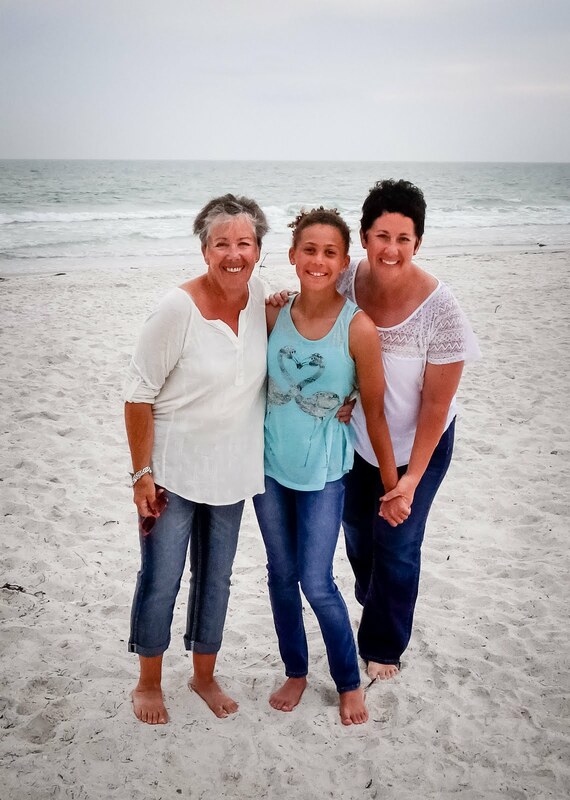 So very thankful. which started with reindeer sausage and Alaskan beer. Delish! After I walked off my gooey yet decadent raspberry pinwheel I was picked up by Allison (former Anchorage resident) and we headed south east towards the base. 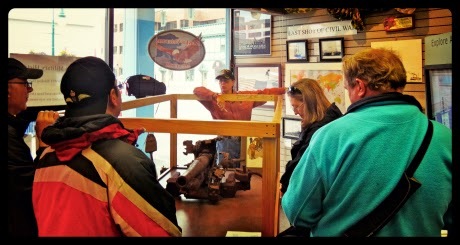 We were there a little early so we pit stopped at the Alaska Heritage Center gift shop. Interestingly, there I found a Haida Gwaii scarf that I had regretted not buying last summer while thousands of miles away, in Ottawa, Ontario, Canada, at the Museum of Civilization. Did not make that mistake twice. Talk about a great use of 15 minutes, eh Allison? 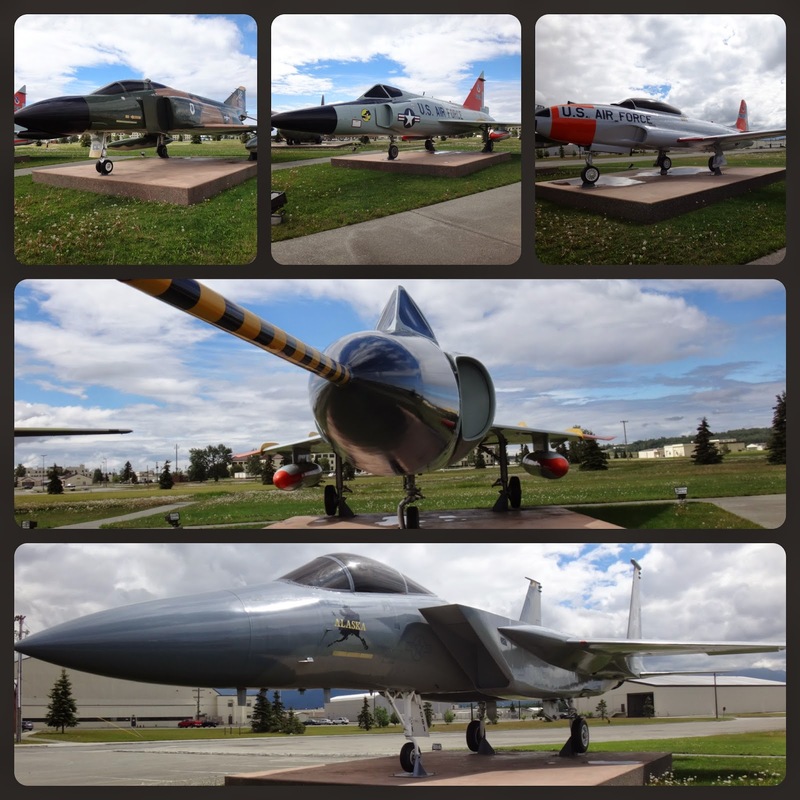 We forged ahead and met the others at the front gate of Elmendorf-Richardson Air Force/Army Joint Base. Unfortunately once inside the guard station, we were informed that our non citizens needed to apply weeks in advance to be given access to the base which meant that our tight click would now have to split up. It ended up that half went to the Aviation Heritage Museum with Col. Cloe and the other half moved forward with the base tour. Happily, I was part of the latter group. Although combined in 2005 by the Base Closure and Reassignment Commission it was not until 2010 that the two branches of the military were merged into one location. 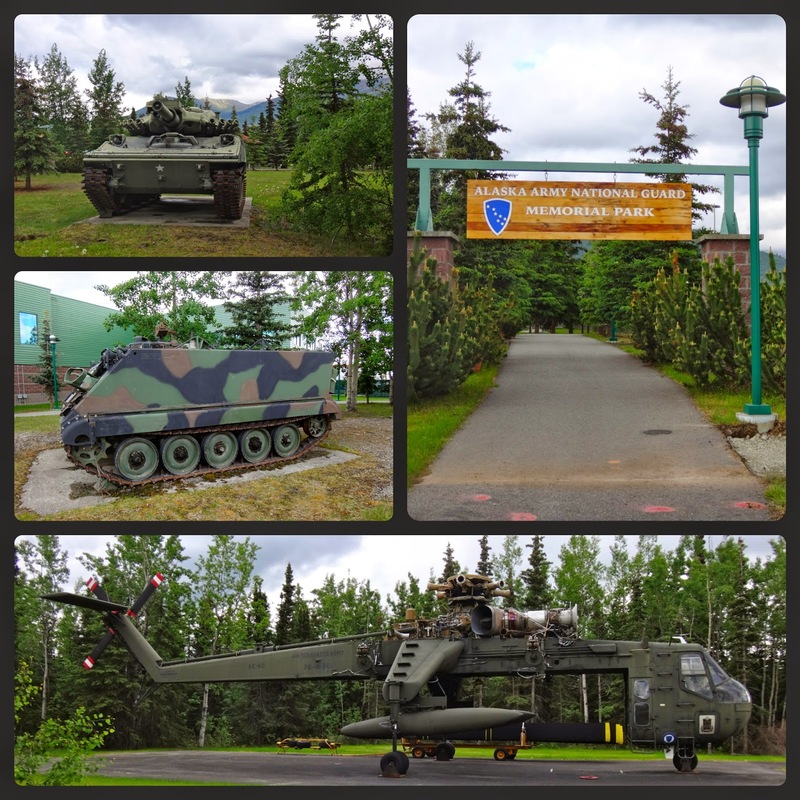 It currently acts as the headquarters for the United States Alaskan Command, 11th Air Force, U.S. Army Alaska, and the Alaskan North American Aerospace Defense Command Region. Major units to be found there are the Eleventh Air Force, 673d Air Base Wing, Alaskan Air Command, Alaskan NORAD region, United States Army, 4th Brigade Combat team (Airborne) 25th infantry division, 3rd Wing (USAF) and numerous other tenant units. 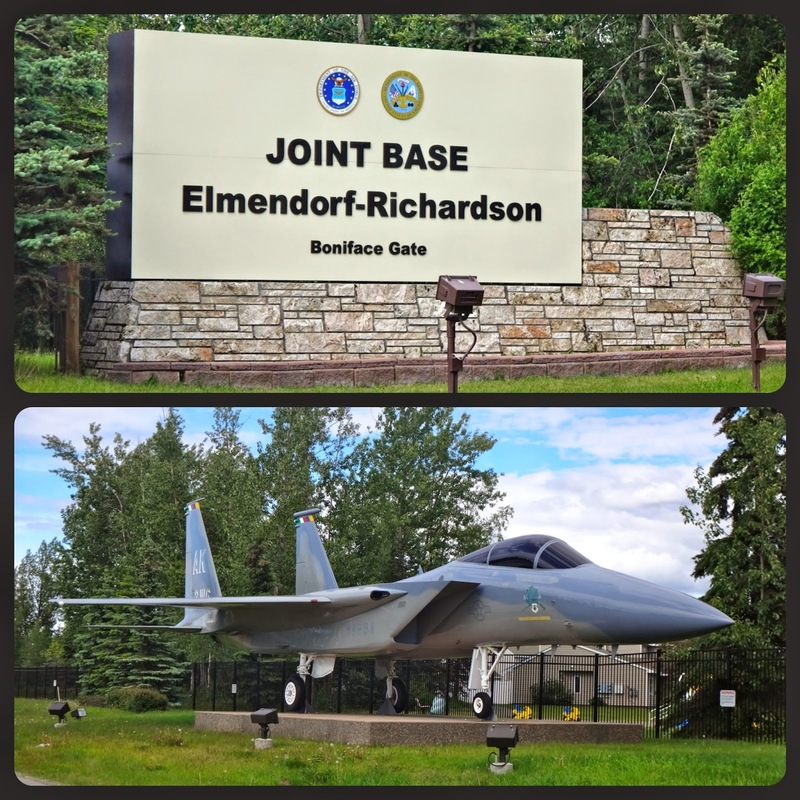 My grandfather was stationed at Elmendorf for roughly 3 months and for the members of the R.C.A.F the base served as a place where they would primarily learn the USAF radio procedures before moving into the more active postings further west. 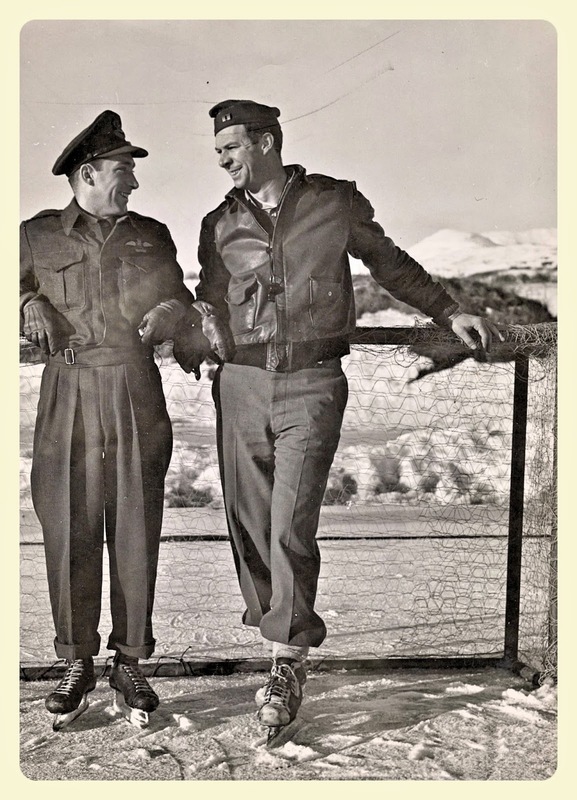 Bill Eull, who has spent countless hours researching the 111F Squadron has a super write up on what life was like for the Canadians who were stationed there. Bill continues to amaze me on the work he has done on the behalf of service men. Keep it up Bill, there are a lot of watery eyes looking down with grand appreciation. 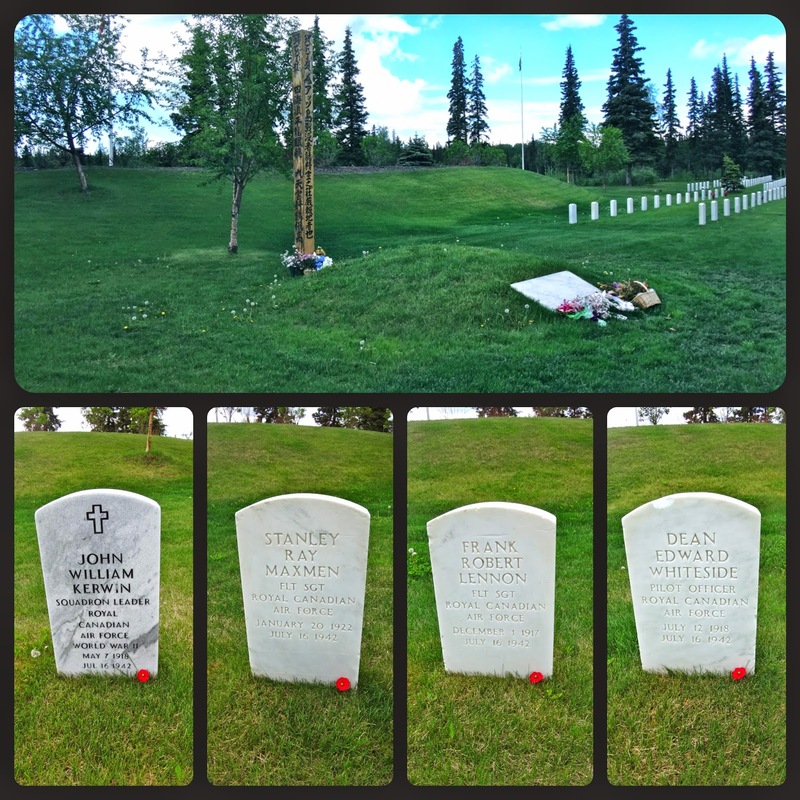 While on base, my "To Do" list included a visit to the gravesides of my grandfathers fellow squadron members who died while serving in Alaska. To even find the Allied section, which was not marked on the cemetery map, we had to fight off bird like mosquitoes for quite a while. We finally located the section next to the Japanese grave markers and behind a hill, not even in plain sight. Granted the section was not very big but still.... behind a hill next to the then, opposition? Jeesh. Anyways, there they sat. It was sad to see those gravesides. So far away from home. Made me wonder who visits them? Who pays them any honor? My way to pay tribute to them was to do what we do in Canada and that is to use poppies as a symbol of recognition for their sacrifice. I laid poppies alongside the sites of four of the five fearless airmen who died when they got lost in the fog and crashed into Unalaska Island. F/O Gordon Baird, not pictured, was lost at sea and was therefore located in a separate section, a section for those missing in action. My grandfather would have been flying with them that day but by the grace of God, he crashed landed his plane one day earlier and was forced to travel to Umnak as a DC-9 passenger with the ground crew. Who would have thought that a plane crash would have saved his life. Luckily for me, it was just not his time. Goes to show you that we all have a time limit on this earth. Some are gone way too soon, some seemingly with out meaning, but for all of us, it is the only thing guaranteed in life. That alone, makes me want to go out and live my very best life possible while I am still blessed with actually being alive. In some way, it makes other peoples loss a little less senseless. 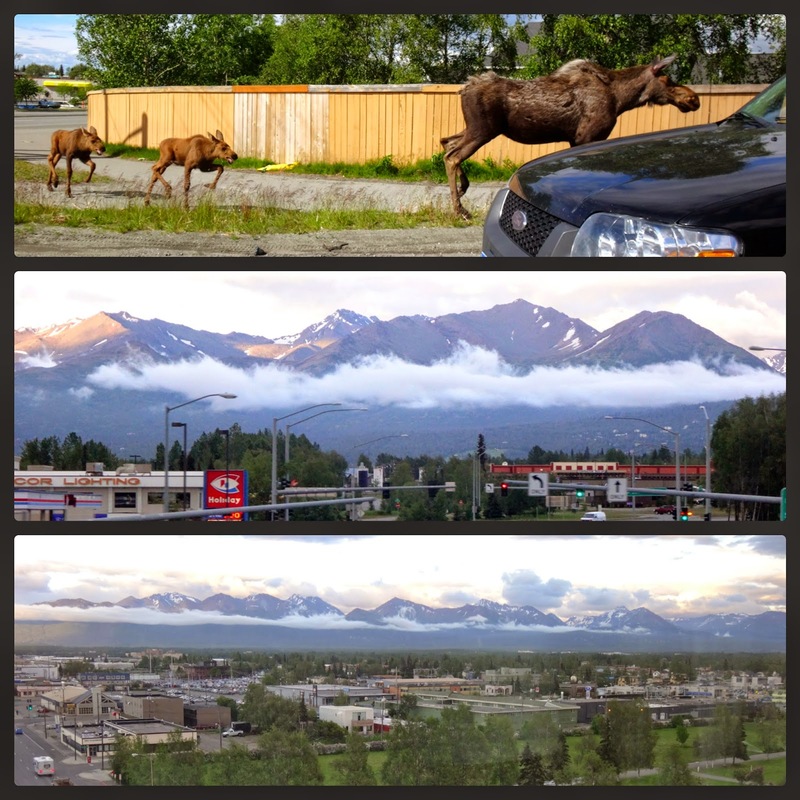 The start of day two in Alaska proved to be no different than any other day of my life. I was up early eager to get my day started. 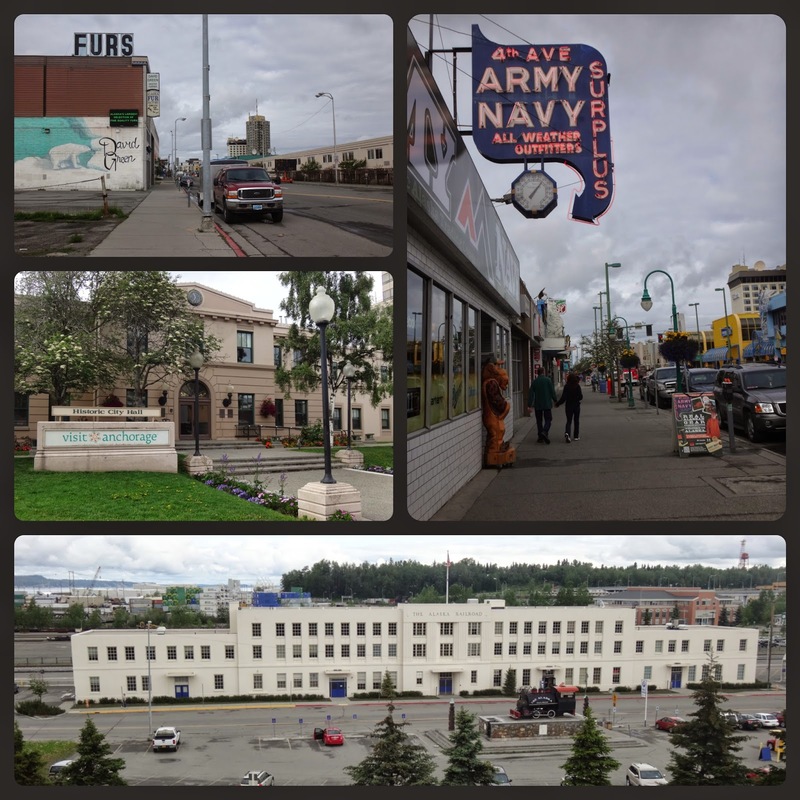 There was a downtown Anchorage flea market that I wanted to explore before I was to be picked up by our Puk-Uk crew. 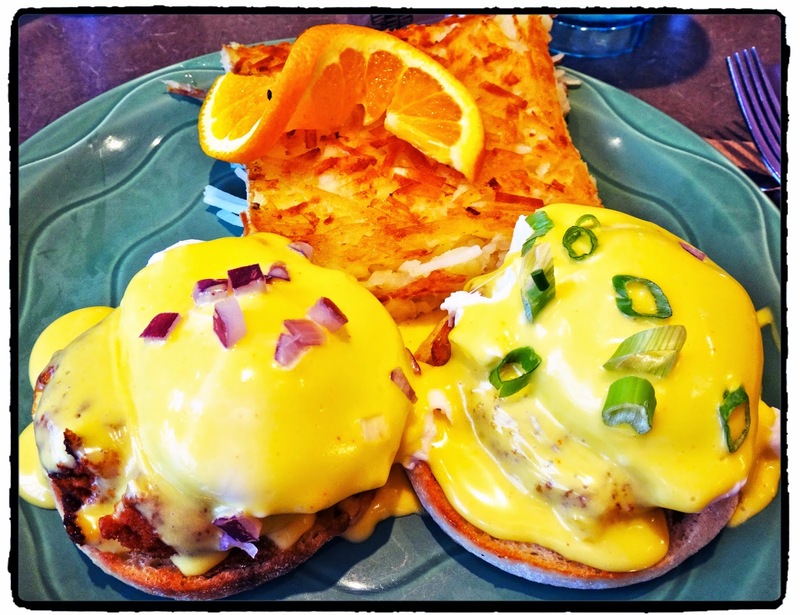 But the first order of business was to find myself a nice hot cup of coffee and a good Alaskan breakfast. You would think that in such a cold climate it would be an easy task. Turns out, it wasn't. I walked the main strip- old historic 4th Avenue. The non main strip. The back strip. The water strip. Even pestered the locals for suggestions with no luck. Now starving and suffering through the beginning stages of caffeine withdrawal, I eventually ended up at my originally intended destination- the flea market. 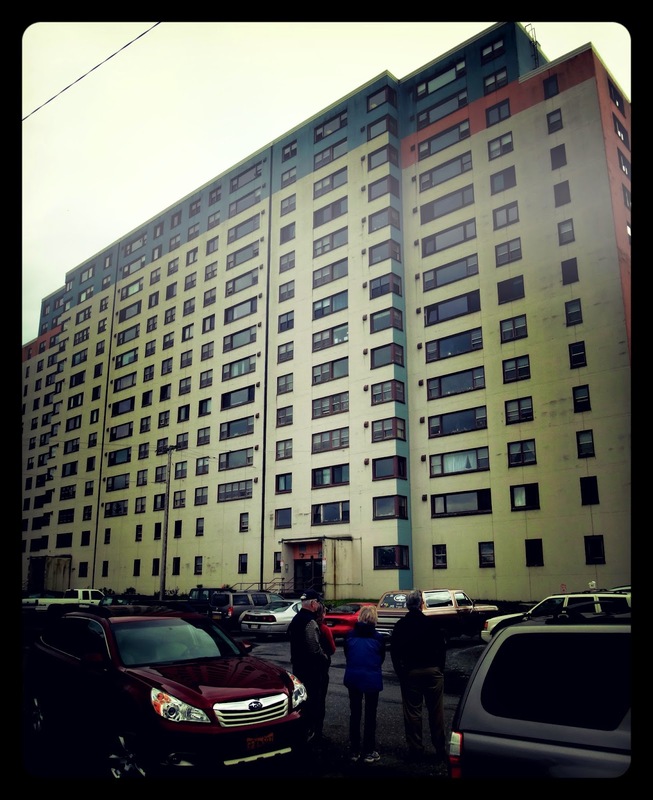 Guess that is one way to get a thorough tour of Anchorage city life. 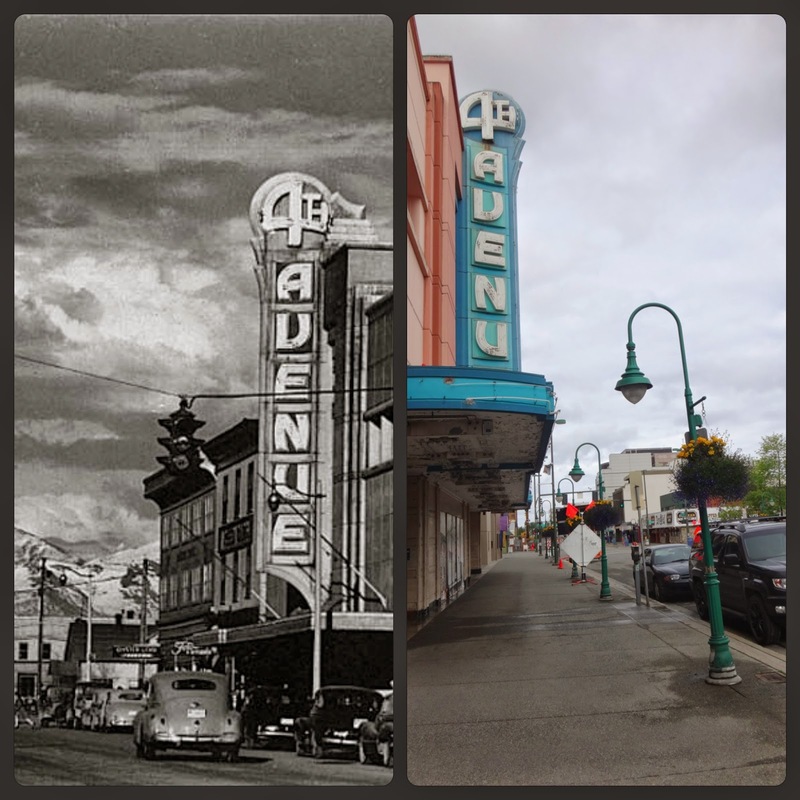 4th Avenue then and now. Historic City Hall, Train Station. Regardless, it turned out to be a favorable turn of events. I found a wonderful local cup of joe that warmed my insides as I toured all the local artisan stands searching for some original artwork to bring home with me. Once satisfied with my selections, I made my way to the food vendor section of the market. Surprisingly they had quite a multicultural variety which included Thai, Korean, BBQ, Persian and Greek foods. In any other situation, those would have all been superior options, but I wanted uniquely Alaskan food. My choice- a reindeer dog. It sounded like the real deal to me. It is similar to the typical hot dog only larger and more sausage like. Truly, if you did not know you were eating Santa's trusty sleigh staff, you would not be able to tell the difference. It was delicious. Sorry Santa.... One quick stop to the area bakery table for a raspberry pinwheel, and I made my full belly way back to the hotel where the rest of my day would begin, at Elmendorf Air Force Base. This base is one of my most anticipated stops. I have been dreaming about visiting there for years and it was now about to happen. A happy, happy day lies ahead. 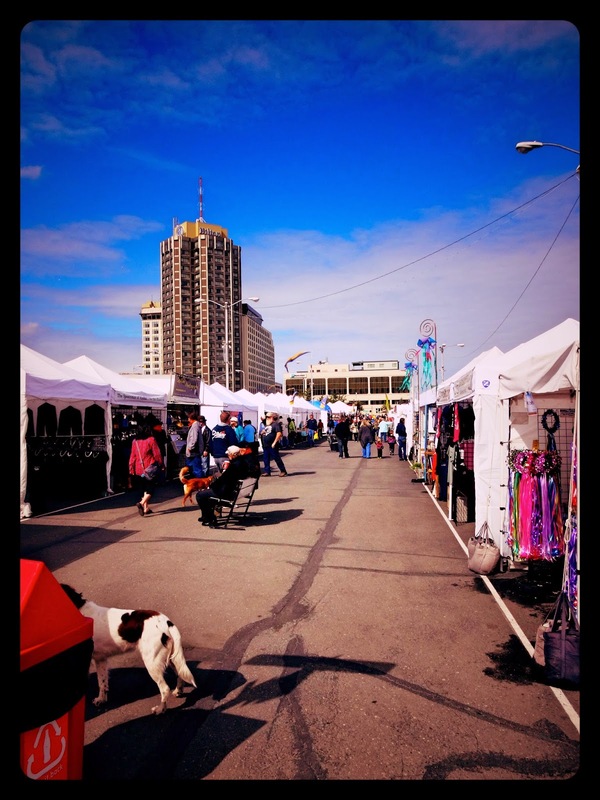 Flea Market in downtown Anchorage. 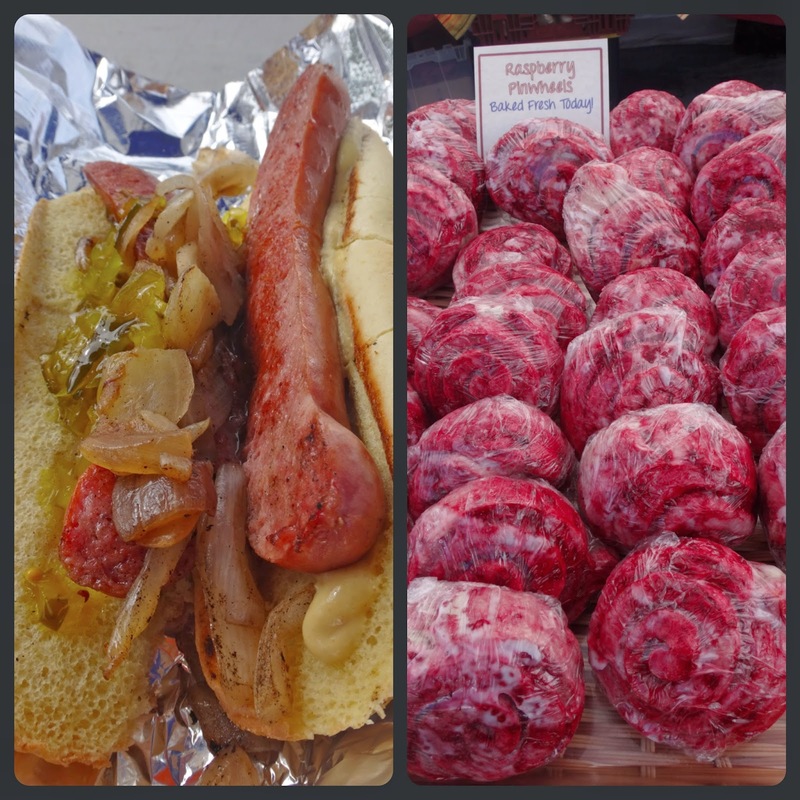 Left- a reindeer dog, Right- raspberry pinwheels. These views are all in a hours drive. 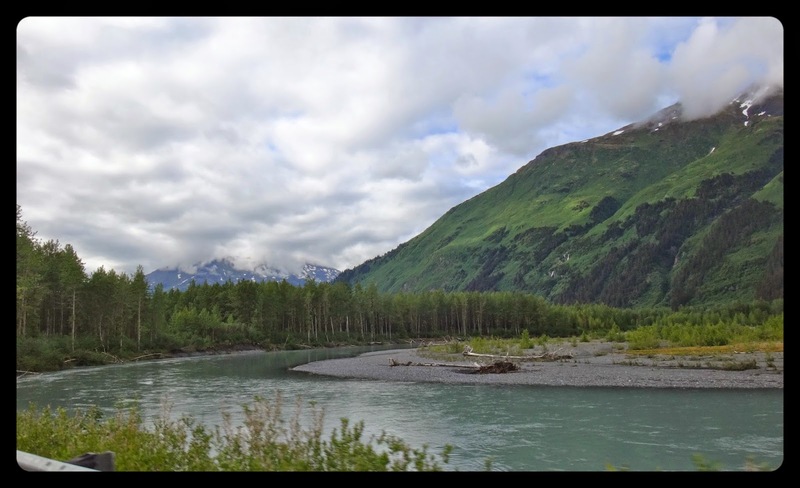 Along the way back to Anchorage from Whittier. One last stop and day two is in the books. 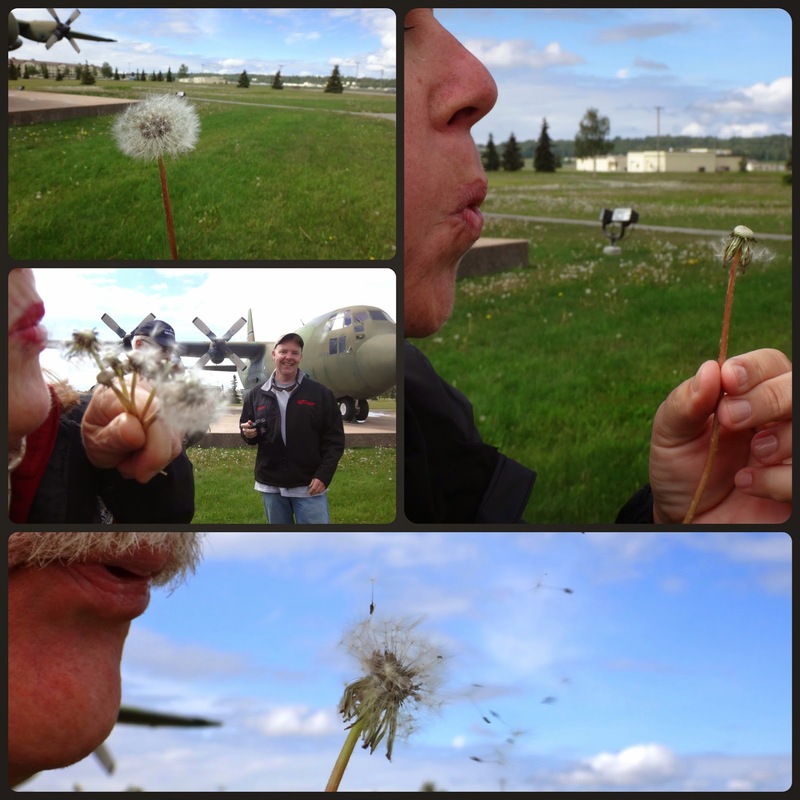 We made a quick visit along side Merrill Field to view the 11th Air Force Memorial. 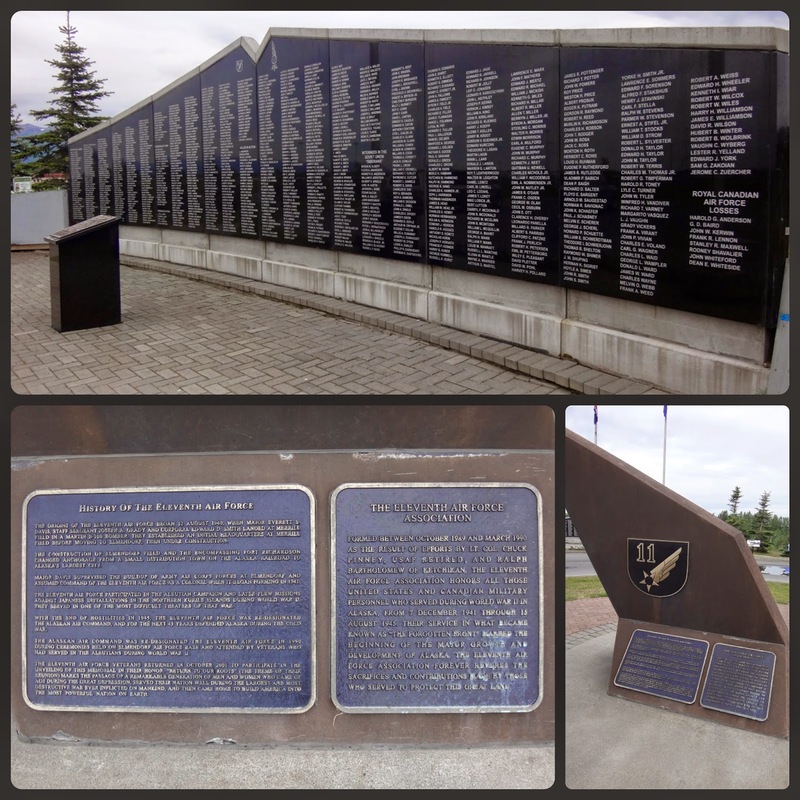 This memorial honors the names of all its airmen, both American and Canadian who lost their lives in WW2. The 11th Air Force, who dominated and protected the Alaskan skies for both the Second World and the Cold Wars, originated in 1940 right there at Merrill Field. Just after origination, they transferred their operation just a few miles east to where it is now, at Elmendorf Air Force Base. The 11th Air Force was renamed the Alaska Air Command only to eventually (1990) return to their root name- the 11th Air Force. Now a days, you can still find them patrolling the Alaskan skies. I excitedly saw several F-16's take off and land from my hotel room. Very cool. 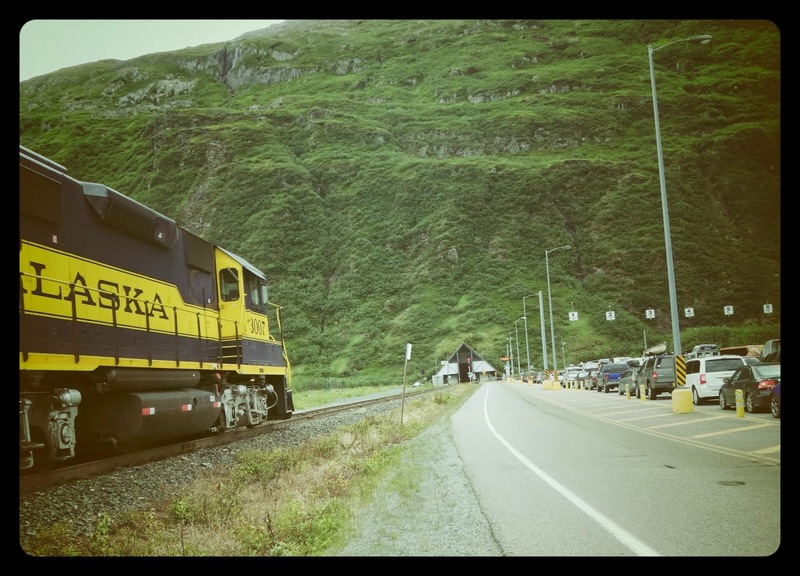 & a U.S. Bombardier on Kodiak Island. Ready to referee a league hockey game. Question (M.V. 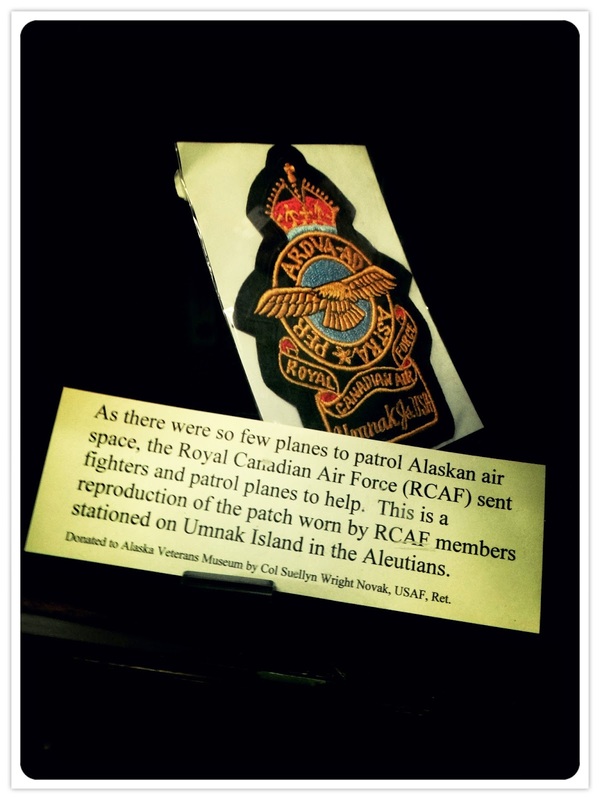 Bezeau): "Why was a detachment of 111F squadron sent forward to Umnak Island in the summer of 1942 to work with the 11th Pursuit? Was this for training or reinforcement purposes? What were its duties?" Response: "It was my understanding, as commander of "A" flight that we were to work with the 11th Pursuit squadron for operational purposes. 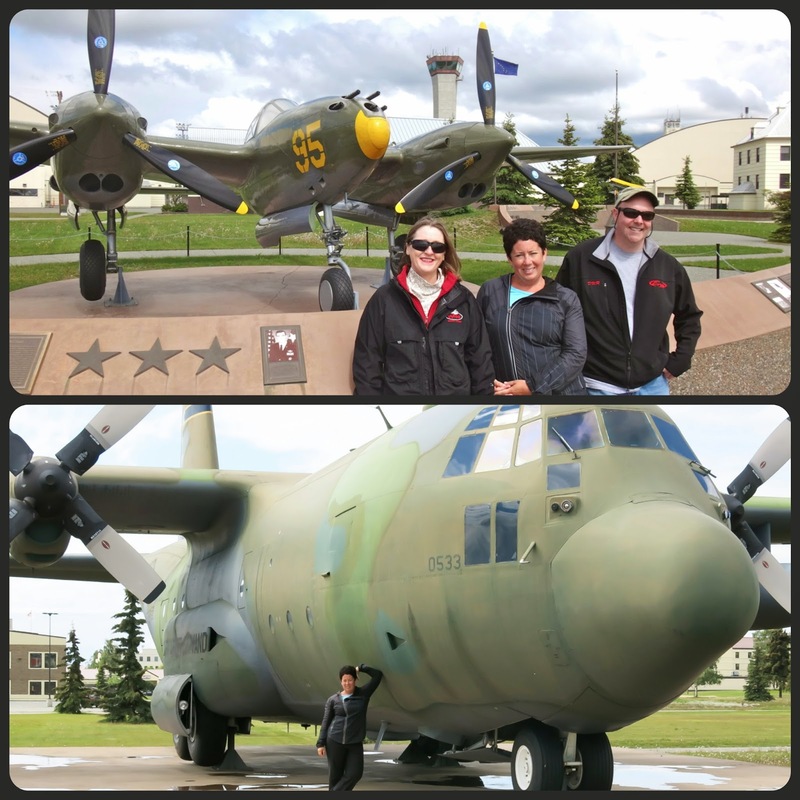 Our training was accomplished in Anchorage mainly in learning USAF radio procedures. Our subsequent operational duties on Umnak consisted of aerodrome patrols, shared equally with the 11th Pursuit from dawn to dusk on a daily basis. " Question (M.V. Bezeau) : "How did this detachment blend into the 11th Pursuit Squadron? Did it fully retain it's identity? How were relations?" 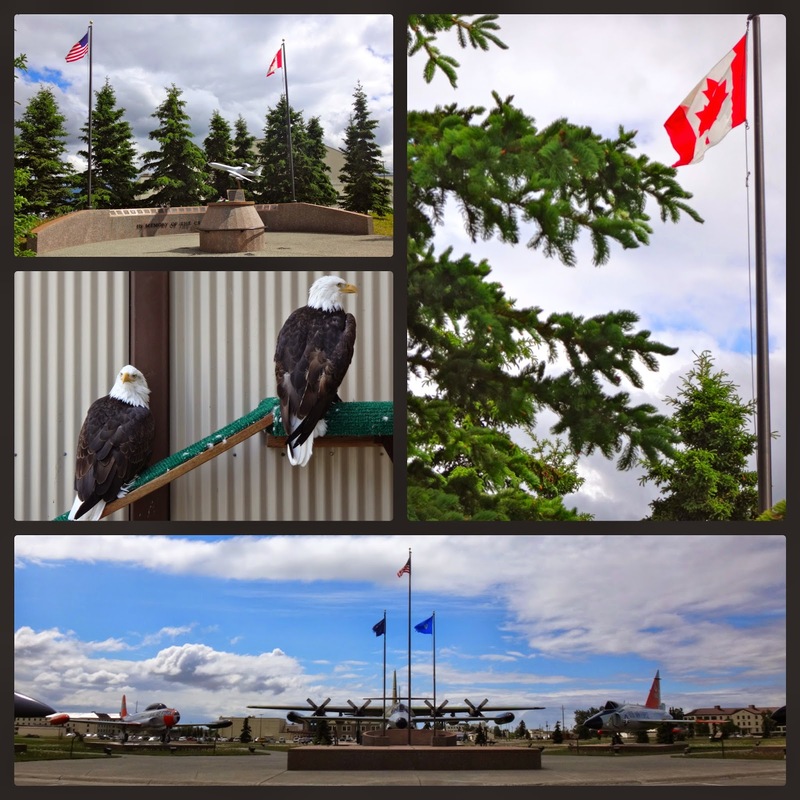 11th Air Force Memorial along side Merrill Field Airstrip, Anchorage, Alaska. It is always saddens me to see the names of fallen soldiers. It is the ugly and somber reality of war. War kills. I don’t like war. I don’t. Yes, even though I write a blog about it. I like to think that what I write about is not so much about war, as it is about the personal stories of these brave individuals who risked their own selves so that we could live a life of freedom. I write it as a way to keep their memories alive. To honor them. To be the voice that so many veterans wanted to have. So that people don't forget. On the flip side, I can understand that, especially at that time, war was about the survival of either them or us and there is no doubt, I am glad we came out on top. I still don’t like it though. Please, can't we all just get along? 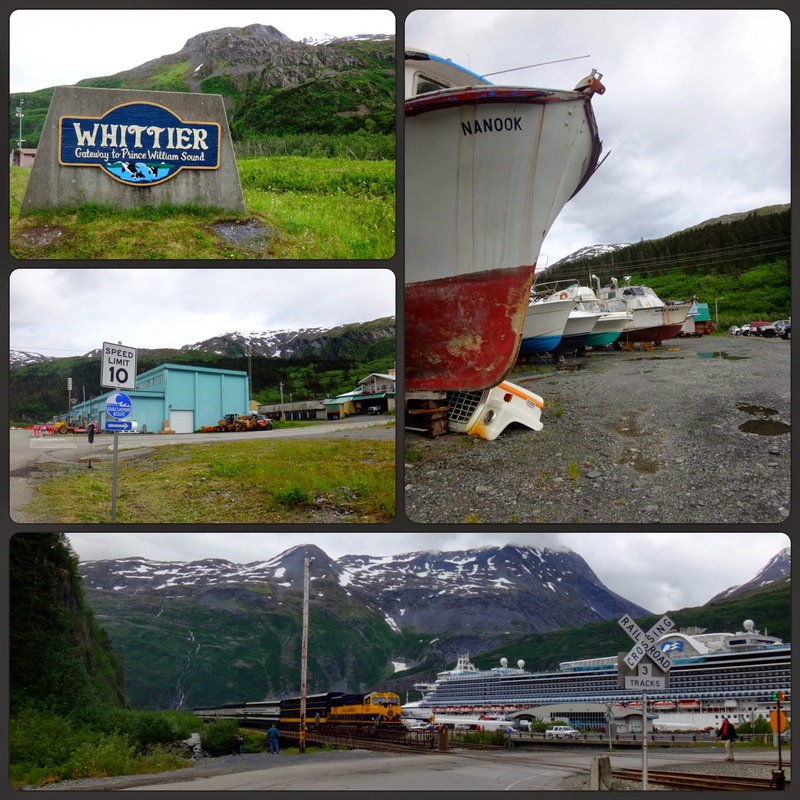 As my first full day in Alaska came to a close, I was still numb with disbelief that I was finally there. I could feel the warmth of my grandfathers smile everywhere I went. I know how proud he is. And I feel honored that I am able to take this journey in his name. 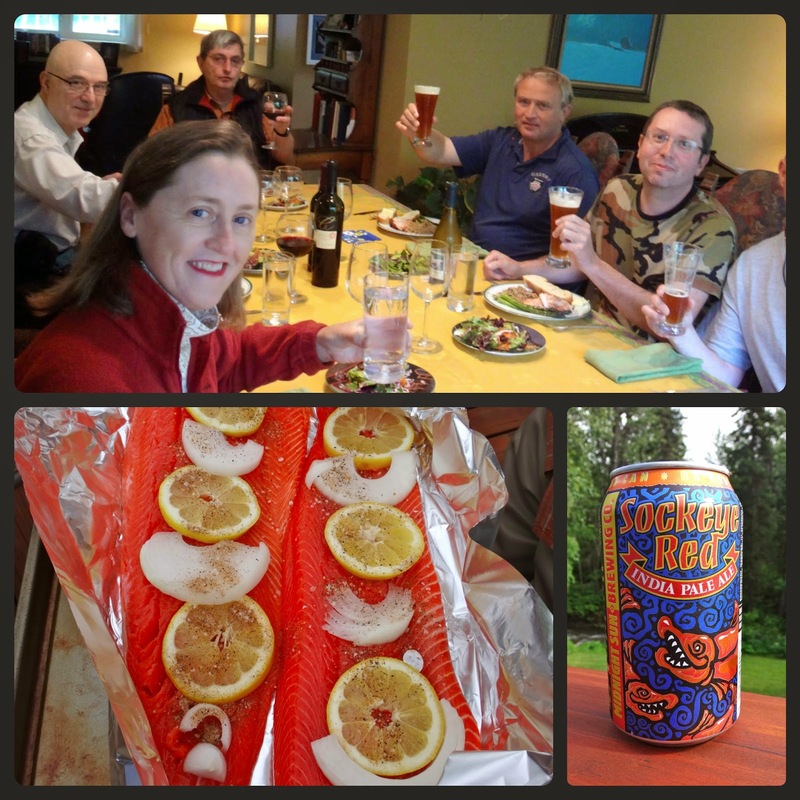 The adventure continues on day two with a visit to a downtown market, a tour around Elmendorf Air Force Base, and dinner at the Colonel's house. Time to force myself to close the daylight blocking curtains and get some rest. Good night Alaska. In Anchorage that is. After a three hour delay on the tarmac last night, I finally made it safely to Anchorage and the land of the midnight sun. It was not until we started our take off that it really hit me This journey that I have been dreaming of was actually going to happen. As I looked out the window of the plane all I could see was my Papa, flying his plane alongside ours, smiling at me from the cockpit of his own P-40. That is when it dawned on me what I had forgotten to pack- Kleenex. On Thursday evening our group of 10, who were all set to embark on an adventure of a lifetime, got some unfortunate news. Our Aleutian sea chariot M/V Puk-Uk, broke down (gear box malfunction) in the middle of the Bering Sea while on a bird watching tour. It's passengers were transferred to a salvage vessel and the ship, well.... is still on its way back to Port in Dutch Harbor to be fixed (which gives you an idea of just how vast this territory is up there- takes 5 days to putt putt back to a port). The part needed to fix the vessel will take 6 weeks to arrive from Denmark. Needless to say, due to the small window of good seas and weather,our trip- although still a go, will take place in June 2015. There was no easy fix to this mess, as Vicky from Valor Tours Ltd. desperately tried to find alternatives. The uniqueness of this trip makes it almost impossible. Heartbreaking news for all of us. We are all tremendously disappointed and extremely inconvenienced. I have been going back and forth about what to do with my non-refundable Anchorage and Kodiak tickets.... As a group, we have come up with a great Plan B. We have decided to make the best out of our non-refundable tickets and go to Anchorage anyways. 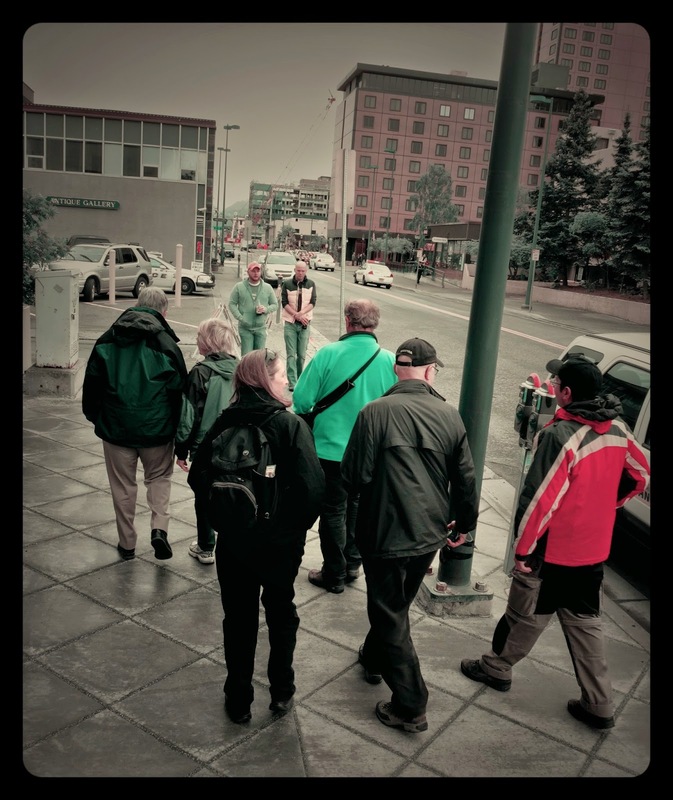 Our tour leader, and world renowned historian - Col. John Cloe, will be taking us on a personal tour of WW2 sites around the Anchorage/Whittier area. 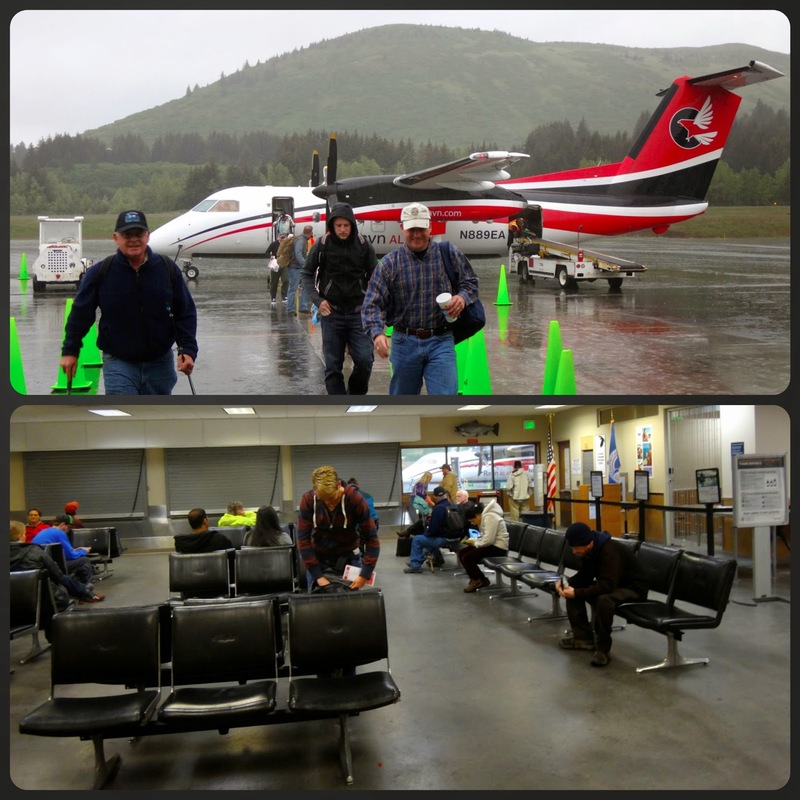 Once that tour is finished, I will fly over to Kodiak and do my own tours there before returning to Florida. See more detailed itinerary below. And in actuality, this is not too far off my initial plan. 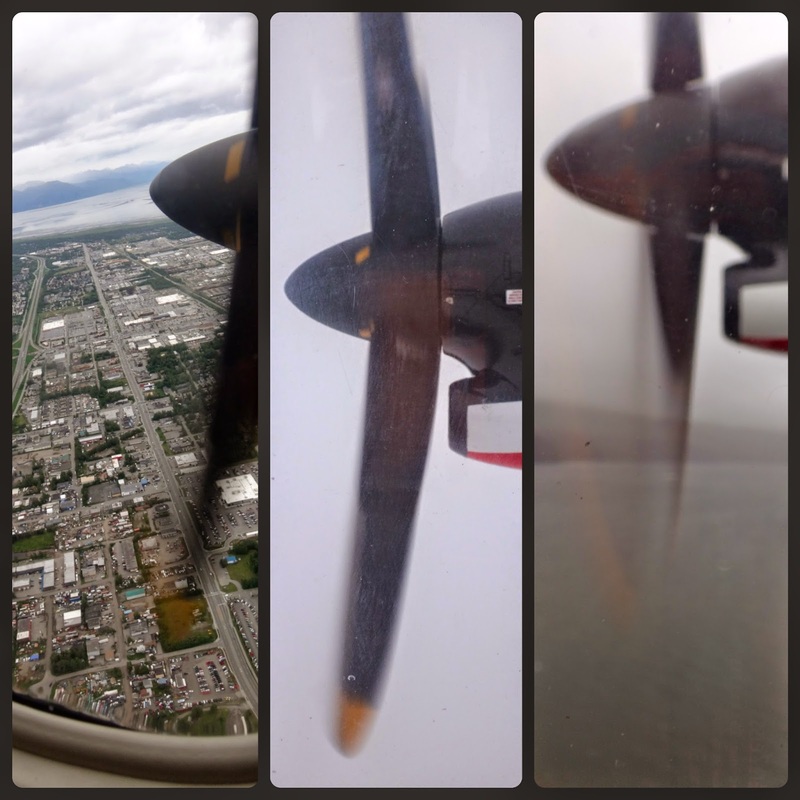 Originally, I had scheduled myself to go into Anchorage early to visit the WW2 Museum and Elmendorf Air Force Base which Papa flew into several times en route to his next assignment. 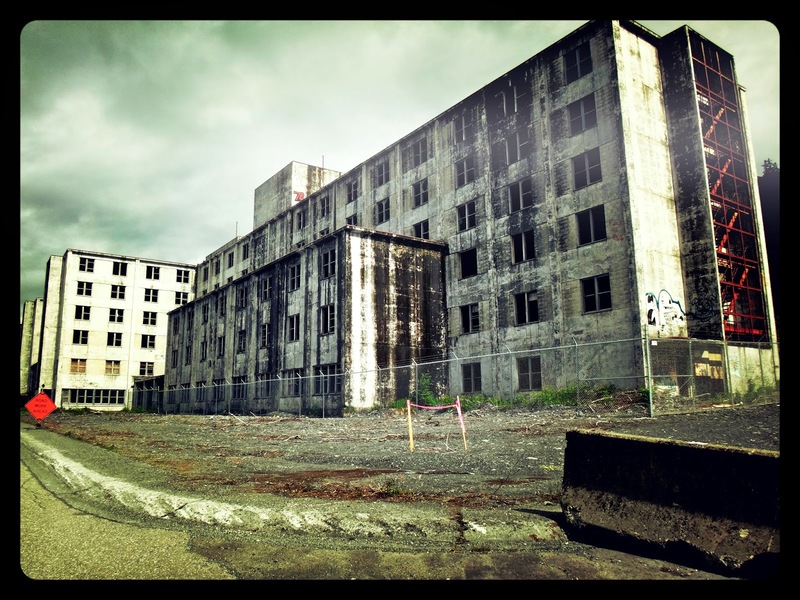 Then fly over to Kodiak Island to tour the former Naval Air Station (now Coast Guard Air Station) where he was. I would also visit the old bunker museum as I have some pictures of Papa at the Kodiak base which I wanted to donate to them. These two excursions were above and beyond the actual voyage out to the Aleutian Islands that I was partaking in by myself. Add ons. The only difference is now I have to do them separately- Part A- Anchorage/Kodiak this year and Part B-Aleutian voyage, the next. Good thing all those years living the island life in Puerto Rico taught me how to be flexible and go with the flow... jeesh! I can assure you that it is the same trip just split up into two parts. The anticipation for next year to arrive is going to kill me. haha. On the bright side- we were 8 days away from being stuck in the Bering Sea. Thank goodness we were not on that boat when it broke down. I will be posting updates of this upcoming leg of the trip as often as I can. Now that the disappointment has lessened, I am excited and looking forward to meeting and getting to know my shipmates for next year. I believe it will make our future voyage even better. National Archives where I will be researching and looking for R.C.A.F related material. 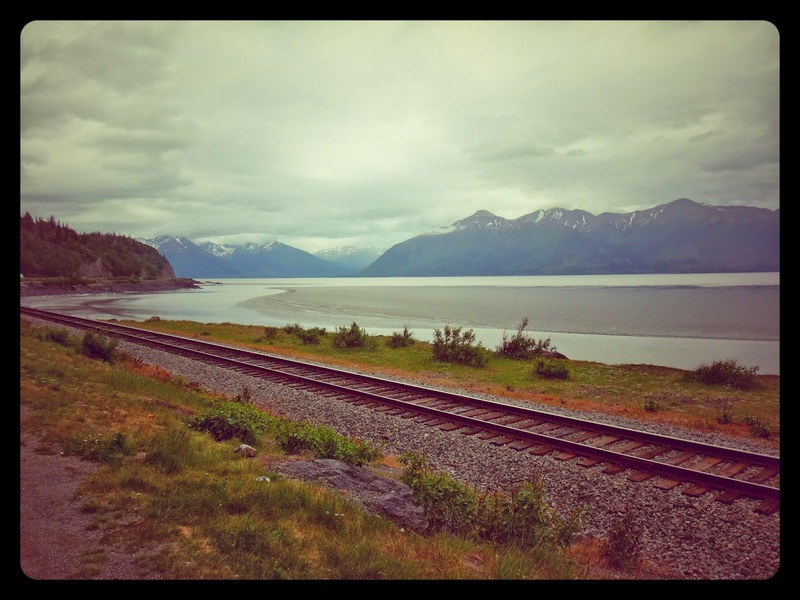 I started writing this blog a few years ago with the grand vision and hope of going to the Aleutian Islands one day to pay a tribute to my grandfather for his service during the second world war. And on this Memorial week, as we remember and honor those who sacrificed themselves for our who freedom, I could not think of any better time to share with you the most wonderful of blessings I have just received. In less than three weeks I will embark on a trip of a life time; a mission of honor, to the Aleutian Islands, Alaska. I will join nine other brave souls on a challenging expedition of WW2 historical sites throughout the Aleutian Islands. The tour is organized by Valor Tours, Ltd who specializes in WW2 historical tours worldwide. 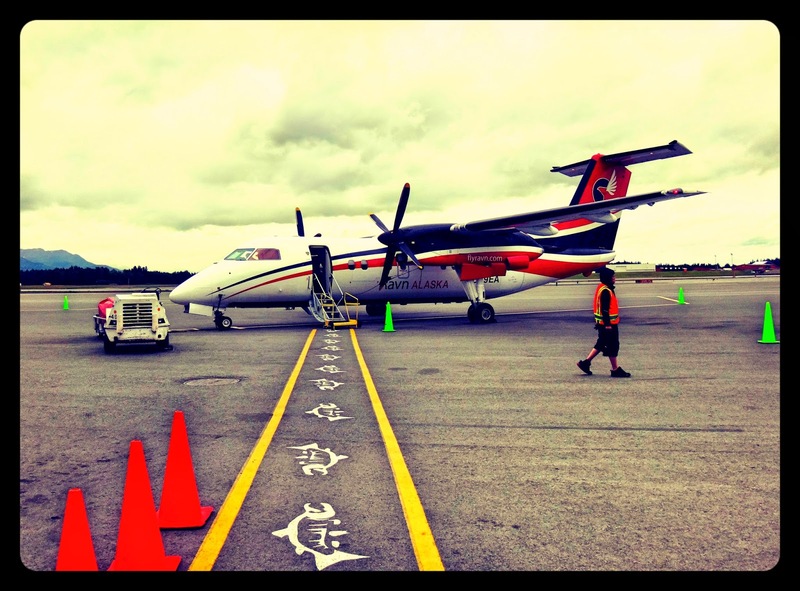 The tour begins in Anchorage on June 15th, where we catch a flight west to our first stop along the aleutian chain- Adak. This was the launching point of military operations for much of the Aleutian campaign. And it is from where my grandfather flew his combat missions. 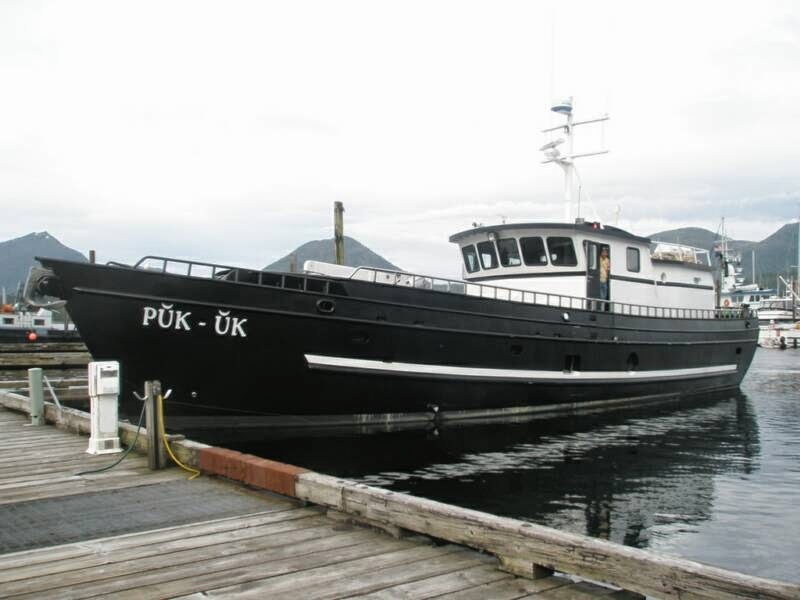 After a full day of exploring Adak, we board the 72ft M/V Puk-Uk and keep west to Kiska. In June of 1942, Kiska, a U.S. territory, became occupied by the Japanese Imperial Army. American and Allied forces spent much of their time trying to drive the enemy out of the island via persistent air attacks. We will spend two full days there exploring, on foot, the old Japanese war base. 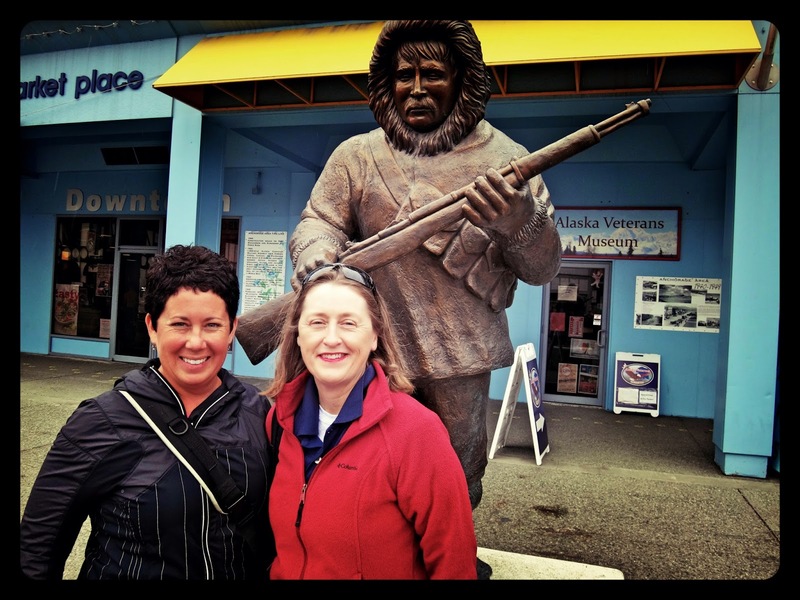 From there, continuing on to the most westward point in the United States- Attu. This remote island was the location of the second deadliest battle in the Pacific Theater, just behind Iwo Jima. It is now a designated National Historic Landmark. 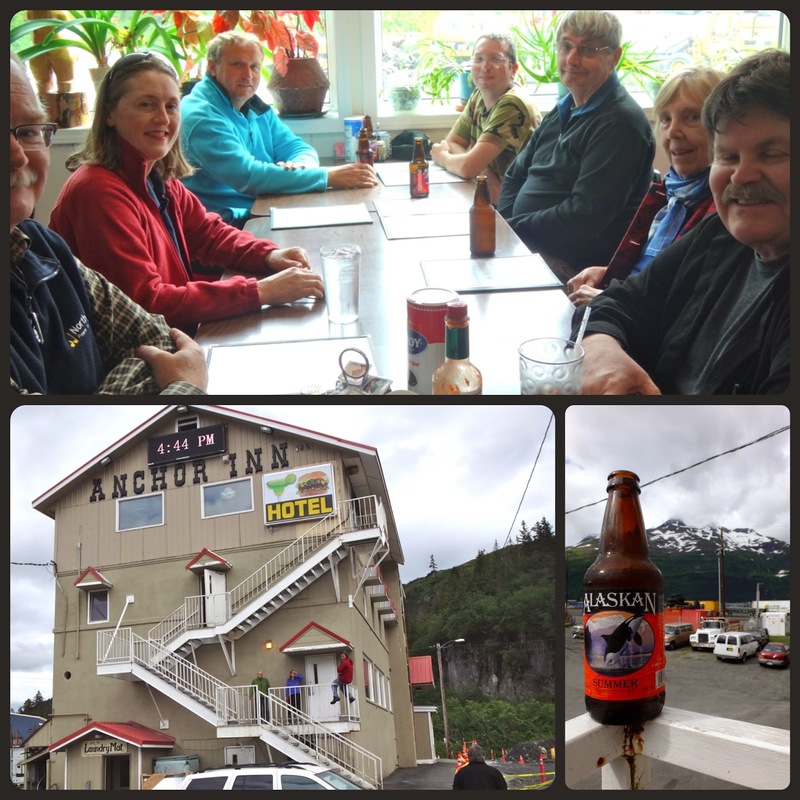 We spend 3 or 4 days exploring the island before we head back East to our final destination- Dutch Harbor, where the war in Alaska all began. 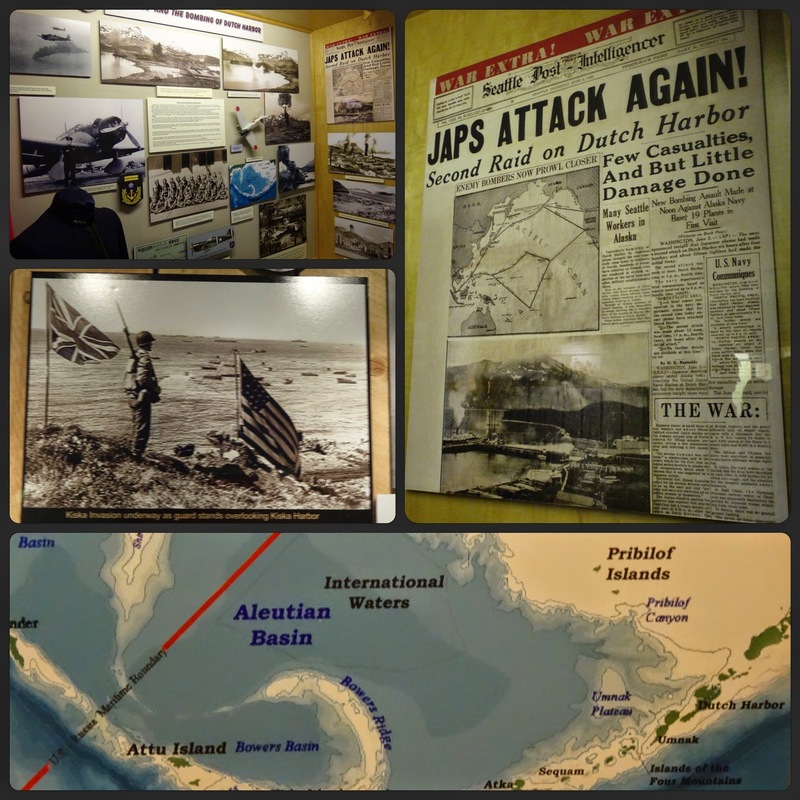 On June 3rd and 4th, 1942, the Japanese attacked Dutch Harbor by way of air destroying much of the town and its base. 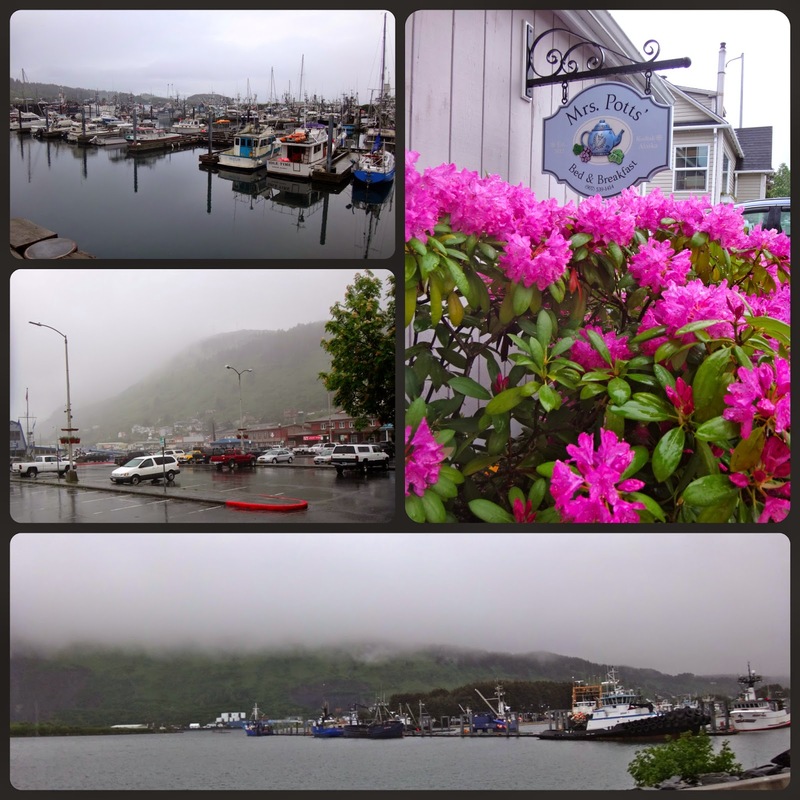 It is in this small fishing town that is home to the Museum of the Aleutians, where I want to donate my grandfathers things. The perfect ending to what will be an incredible tour. 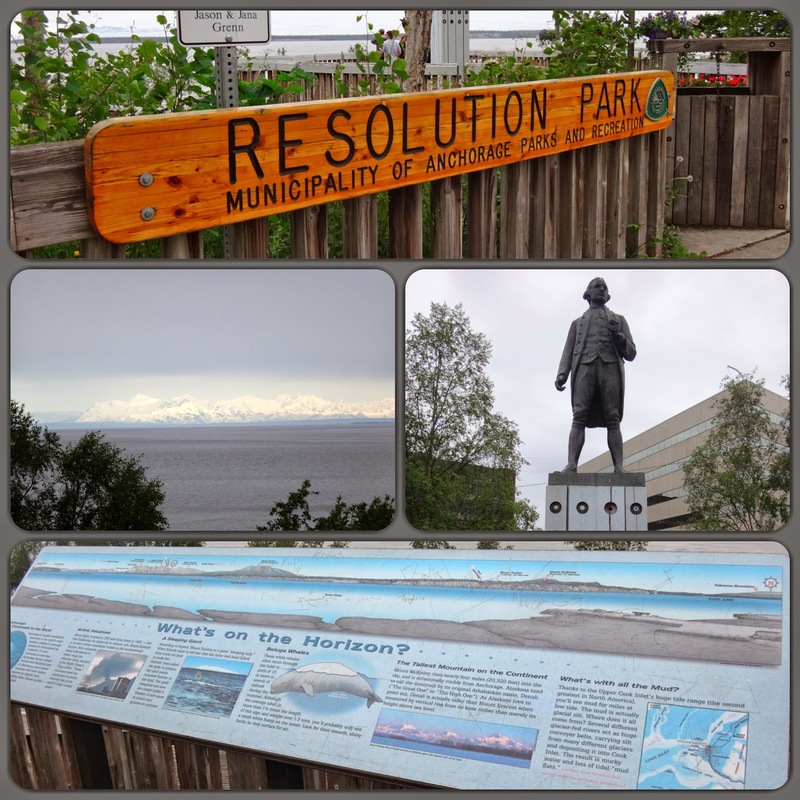 The next day, June 30th, we will conclude our trip with a flight back to Anchorage. As if that wasn't enough, I am also looking into making a separate trip over to Kodiak Island. 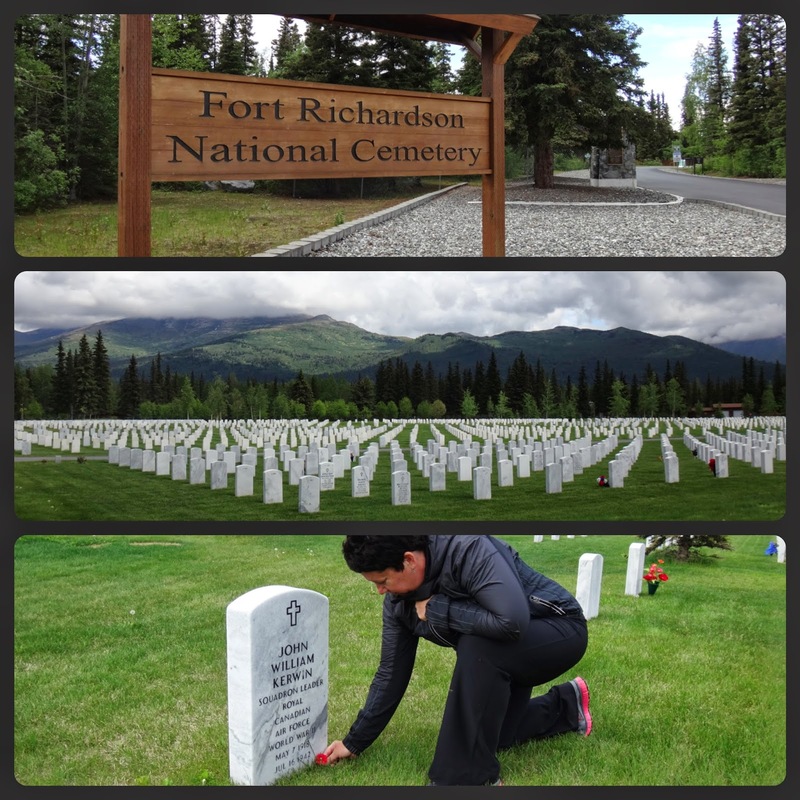 It has been one of my goals to visit as many of the bases my grandfather was stationed at as possible. The Naval Air Station in Kodiak is where he was for many months. 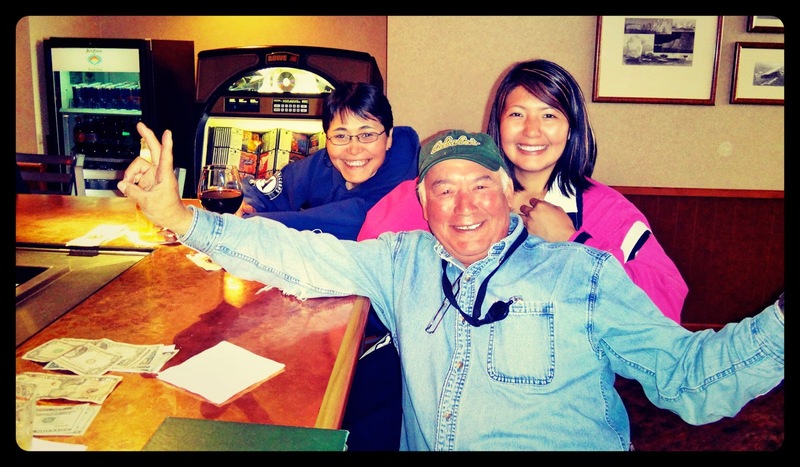 From there he taught other pilots how to fly in the dangerous Aleutian conditions. Actually, the Naval Air Station no longer exists. 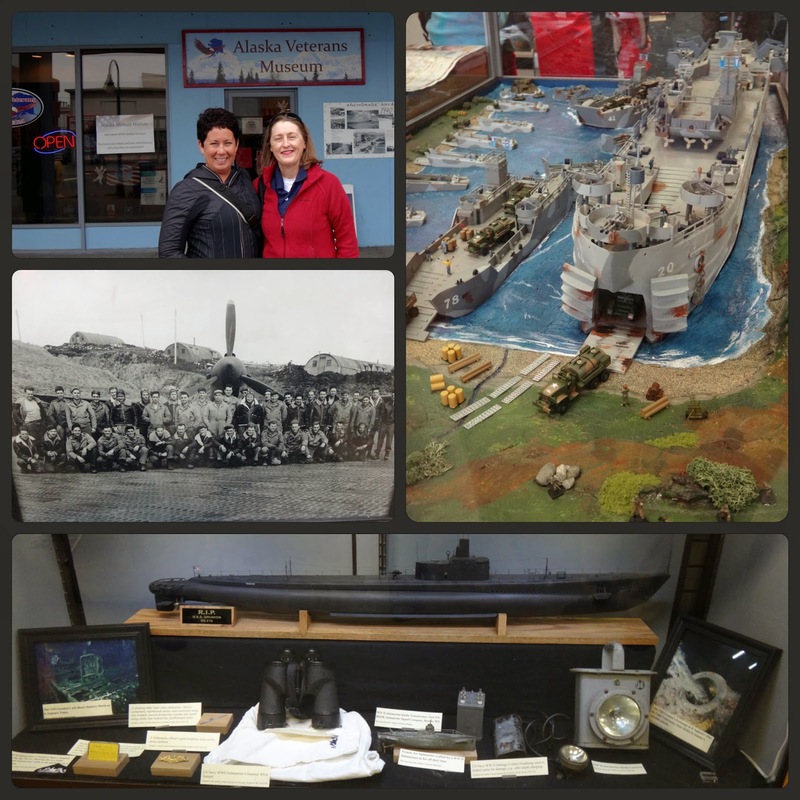 It is now home to the Kodiak Coast Guard but many of the same WW2 buildings are still in use today. For me, this trip is a pilgrimage of sorts. A pilgrimage to pay my utmost in respects, not just to my grandfather, but close in my heart will be, all the men and women who endured the fiercest and loneliness of conditions so that we can live free today. To bring recognition and respect, to those that were forgotten about while fighting for our continent. What an absolute honor it will be. I am incredibly thankful. Funny, I went to Disney a few months back and found myself thinking that I must be boring because I am not a fan roller coasters. But looking at this trip, I realize, I am not boring at all. I may not like roller coasters but I sure do like an adventure and this is going to be one heck of a ride.